All you have to do is ride in a new car and you quickly realize how dim your bulbs are in you Dodge. In my case, all I did was open the door of my Wife's 2015 Chrysler, and I knew I had to replace my bulbs with LED bulbs. I am VERY glad I did! They are SO much brighter. You don't have to be a rocket scientist to replace them either, it is an easy upgrade, and not that expensive either. My first attempt did not go too well. I found bulbs on Amazon and bought them. Some fit, and other did not. Maybe it is my fault because I did not remove and measure EVERY bulb I wanted to repalce. In my defense, for instance, "a 194 bulb is a 194 bulb". They ALL have the same shape and size. This is NOT true with LED Bulbs. So you have to be more careful in what you buy. Because I bought a large assortment of bulbs that first time on Amazon, I did not return any of them, I do own a shop, and figured I would eventually use them for something at some point. My next attempt, I reasearched a little more, and while I felt confident buying from some of the larger LED sellers in the USA, they were just too expensive for my taste. So I went to good old reliable eBay. THERE I found what I wanted at a reasonable price. Some of the bulbs have been in my truck for over 2 years with no problems. It took me until now to finally complete the changeover. The last two I needed were my map lights. I picked them up a couple of weeks ago on eBay. WHAT a difference! It is SO much brighter now when I open my door at night. The pictures below will show how bright they are even during the day. 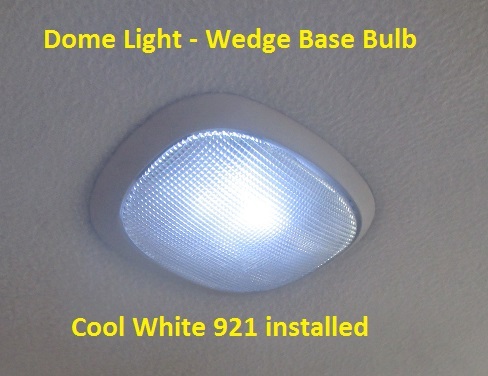 The most common problem with 194 (and other wedge base) bulbs is sometimes when installed they do not seem to work. 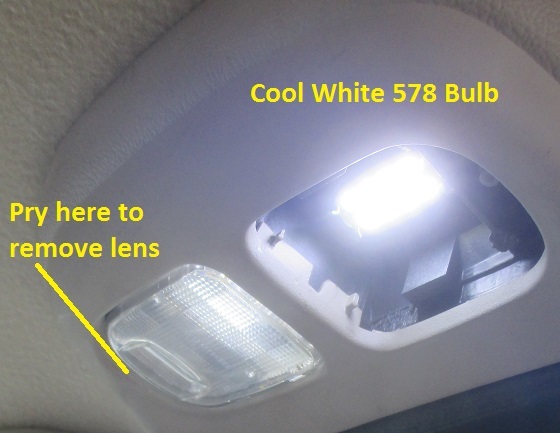 They are "polarized" so just take the bulb back out, flip it around and reinstall. 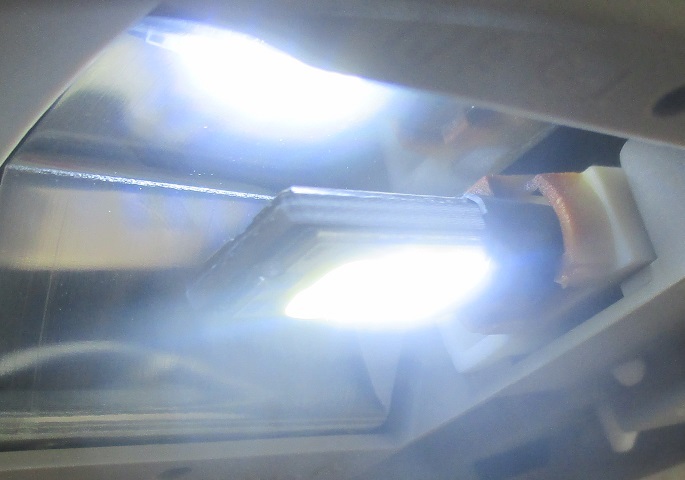 CAN bus LED bulbs are made specifically for CAN bus-equipped vehicles. These bulbs "talk" to your on board computers. The computer "pings" the bulbs to make sure they are not burned out, lost a ground, are shorted to ground, etc.. Dodge started I believe in 2002 in the 1500 models, and in 2003 in the 2500/3500 models. IF you want to be sure, remove one of your tail light bulbs, and start the truck, then turn the lights on for a couple of minutes, or put the 4 way flashers on, then turn them off. IF you see a "Lamp Out" message on your dash, you have a CAN bus system. CAN stands for Controller Area Network. Bus is a term used in electronics to indicate a main line, like a fuse block where all of the circuits are fed off a bar that connects them on the power side, that is a bus bar. With the CAN bus the bus is wire(s). Vehicles today can have 5 or more busses in them. The "CAN bus was originally designed for multiplex electrical wiring within automobiles to save on copper, but it is also used in many other contexts." I mention this because some plow manufacturers actually have been using multiplexing to control their plows for quite a few years now. Special tools are required to diagnose multiplex electrical systems. This just about eliminates the DIY plow owner from making repairs themselves. Now the 1994 - 2002 run did not use CAN bus, but I am telling you this because IF you are going to stock up on bulbs, and if you think the bulbs you buy for your Dodge will fit other vehicles, you might be wrong. Determine if other vehicles are CAN bus or not before you order. After 2008 or so just about all vehicles are CAN bus. Above you can see how bright the LED bulb is in daylight. There is a tab on the driver's side you have to pry with a small screwdriver, then the lens folds down for access. I have seen this many times before. It seems the 921 bulbs overheat the socket. You can see I bought a two sided 921 LED because there is a reflector above the bulb that will reflect at least some of the additional light back down. I switched to LED for brighter lights, so I did not want a one sided 921. 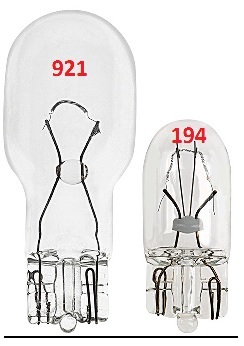 Here is a look at the 194 and 921 bulbs side by side. Same base, but the 921 is larger. Next is the map lights. The bulbs are a "festoon" style, meaning they have contacts on the ends. To remove the lens you pry on the outside edge and the lens folds down or can be twisted a little to remove. 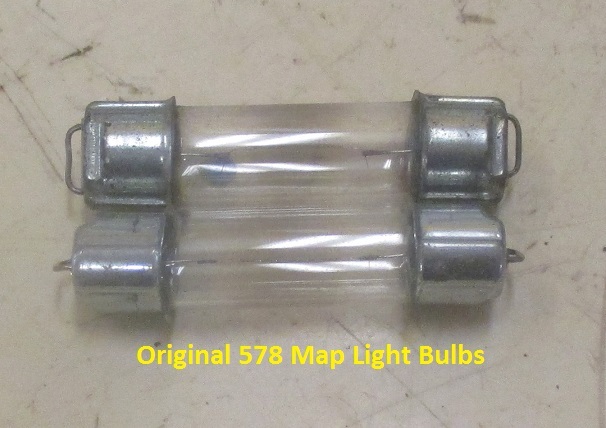 Here is a look at the original 578 bulbs from the map lights. 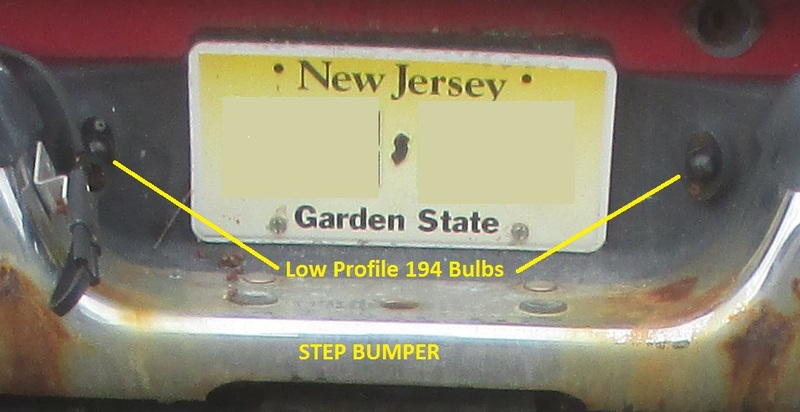 Here are the license plate lights. I tried at first some other 194 LED bulbs I bought for trailers, and they were too long to fit. I had no idea just how small the light housings were, the original 194 bulb just fits inside. 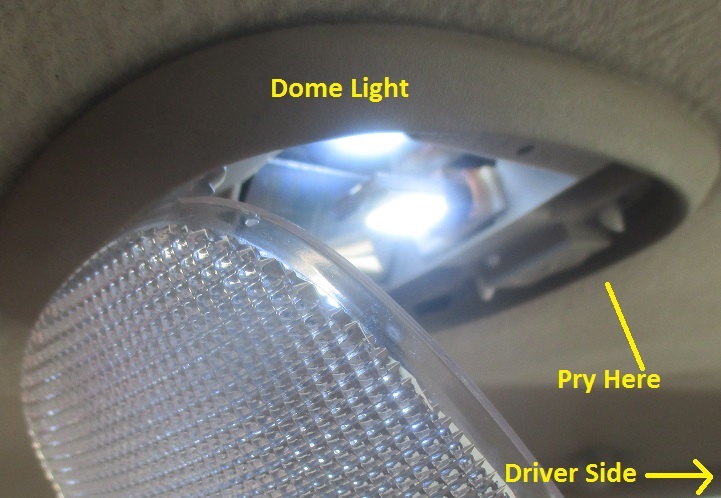 This problem was solved with low profile 194 bulbs, also called T10 Wedge Base bulbs. 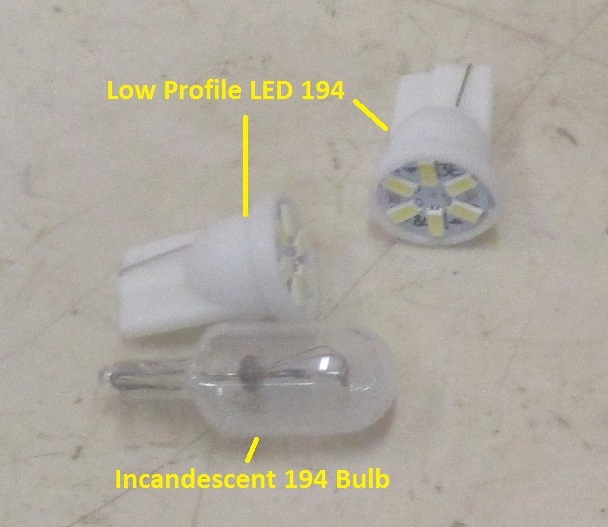 Here are the low profile 194 LED bulbs and the original 194 bulb side by side for reference. 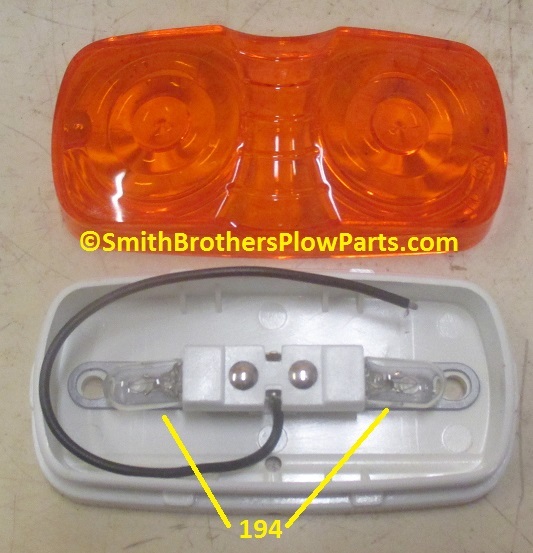 Here are my favorite flush mount amber marker lights used on trucks and trailers. I like them for two reasons (and now a third) which are, they have TWO bulbs, many on the market only have one bulb, and they are easy to change bulbs. In fact, I have been using the low profile 194 bulbs in these with great success. You would think with all of the LEDs firing out the end of the bulb, they would not seem as bright, but have a look at the next picture. So the third reason is actually part of the second reason above, they are easily replaced with LED bulbs. You can see just how bright they are with LED bulbs in my shop. 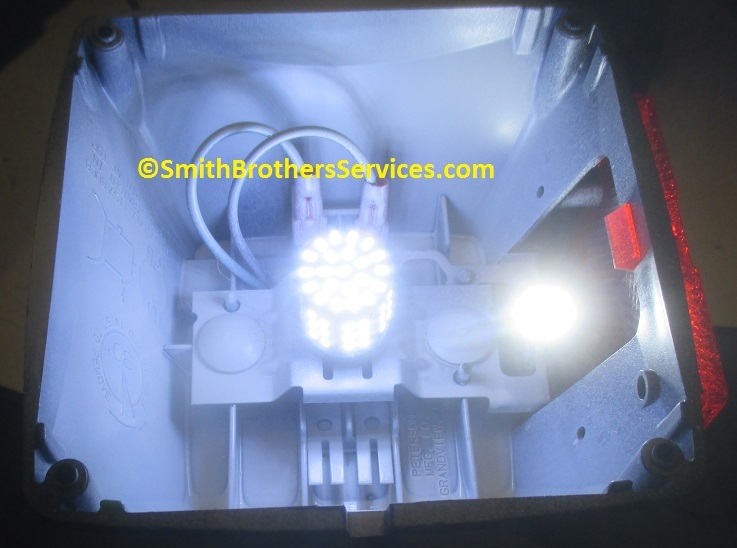 Here is a trick I learned years ago, paint the inside of light housings silver or white so more light reflects. So this is a trailer tail light, less than $10 to buy. After painting the inside white, I replaced the bulbs with LED bulbs. Now it is an LED tail light. 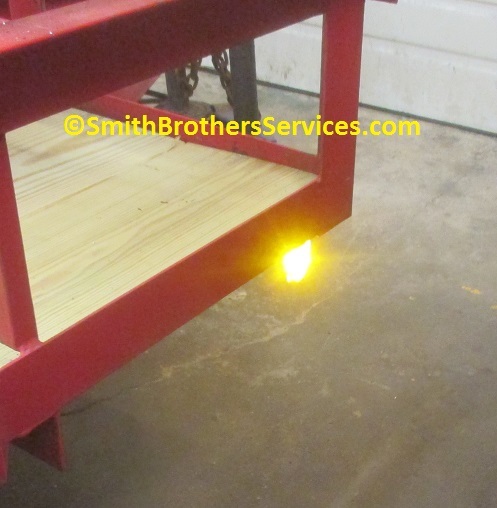 The light that was on this particlular trailer had a wiring problem from a bad ground, but the replacement was $39!! 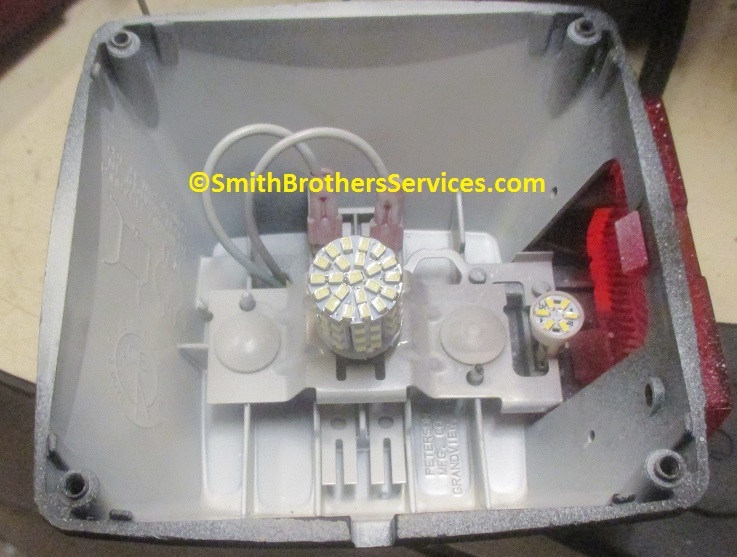 The customer got this one for under $15, and if the light breaks, the LED bulbs can be moved to a new light. Broken trailer lights is VERY common, so make it hurt less when the light is under $15 compared to $40. You can see how bright it is with LED bulbs.